Christmas Music is a tradition that I cherish! 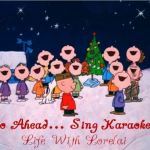 Whether it is a traditional carol, a crooners sentimental or jaunty tune, or something fresh and new, they had me at Christmas. I’ll admit it, I’m hooked. I absolutely LOVE Christmas Music! 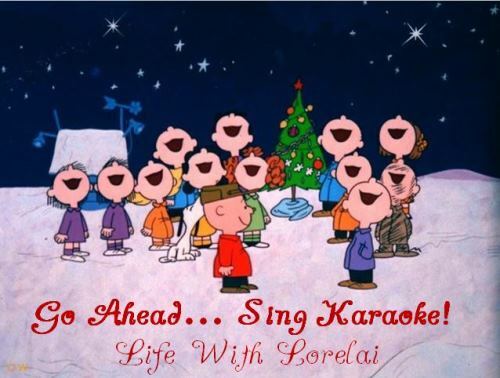 It plays throughout the holiday season in my house and car starting the day after Thanksgiving (sometimes even Thanksgiving night), and runs through New Year’s Eve. Christmastime just wouldn’t be the same without the varying artists from past to present crooning through my decked halls. And of course, Rory and I singing along. The music fo Christmas brings joy and happiness, but it also brings wonderful memories of Christmases past. Memories of my mother’s favorite Christmas Carol, “Bring A Torch Jeanette Isabella,” to mine and Luke’s special song, “Santa Baby,” to, “I Want A Hippopotamus For Christmas.” I love every moment. I have a Christmas Playlist that provides us hours of Christmasy entertainment. You will find songs from Bing Crosby, Perry Como, Andy Williams, Dean Martin, Doris Day, Rosemary Clooney, Frank Sinatra, Burl Ives, Eartha Kitt, Brenda Lee, The Ronettes, Harry Belafonte, Kings College Choir, Wham, Blake Shelton, Lady Antebellum, The Irish Rovers, and so, so many more… Luke and I have been together for three years today, so give a listen to Santa Baby by Eartha Kitt in the playlist for us. Happy Anniversary, honey! Please enjoy the Christmas music and have a wonderful and blessed Christmas. 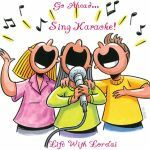 If you like to sing, try these super fun Christmas Editions of Go Ahead… Sing Karaoke! 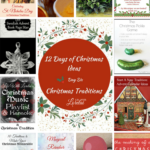 Is Christmas Music one of your traditions? Great post! I wish I could pinpoint my favorite Christmas song, but there are just too many to count! 🙂 My favorite one to sing however, is “Merry Christmas Darling” by the Carpenters. Bittersweet, indeed. I love Christmas music, especially the classics. 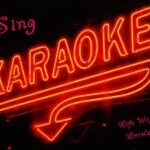 I’m not much of a singer, but that doesn’t stop me from belting those songs out. What a fun post! Pinning and tweeting for sure! 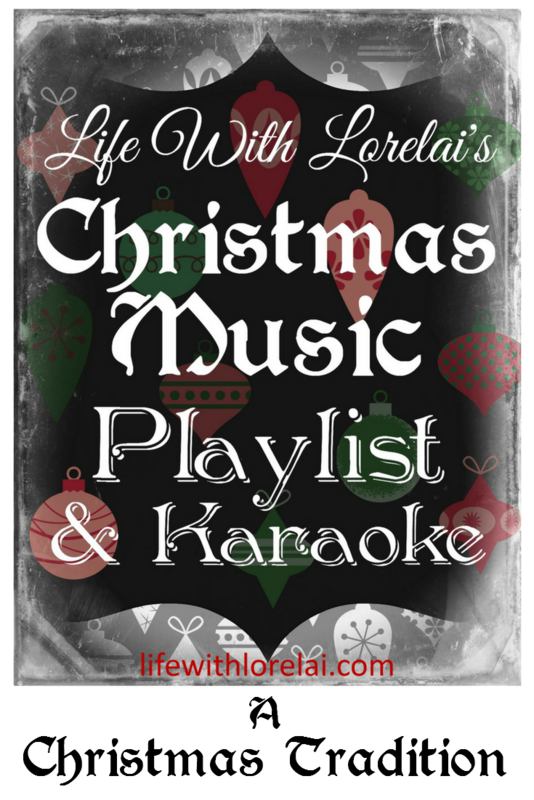 Rory and I are always belting out Christmas songs this time of year… and the classics are so much fun to sing! 🙂 So glad you enjoyed the post. Thanks for the PIN and Tweet.